This blackened tilapia recipe is one of my favorite blackened fish recipes. What I like most about Tilapia is that it's readily available all year round, so I never have to go without this tasty flavorful fish. For this fish recipe, you will use a simple, but effective 8 ingredient blackened cajun seasoning mixture that will be sprinkled all over your tilapia for some mouthwatering and lip smacking flavor. The eight (8) seasoning ingredients you will use include paprika, garlic powder, ground dried thyme, onion powder, dried basil, dried oregano, cayenne pepper, and ground pepper. For best results, I recommend that you use a cast iron skillet. If you don't have cast iron, any heavy bottom skillet will work. Here is my recipe for Blackened Tilapia. Rinse tilapia fillets and pat them dry with paper towels. 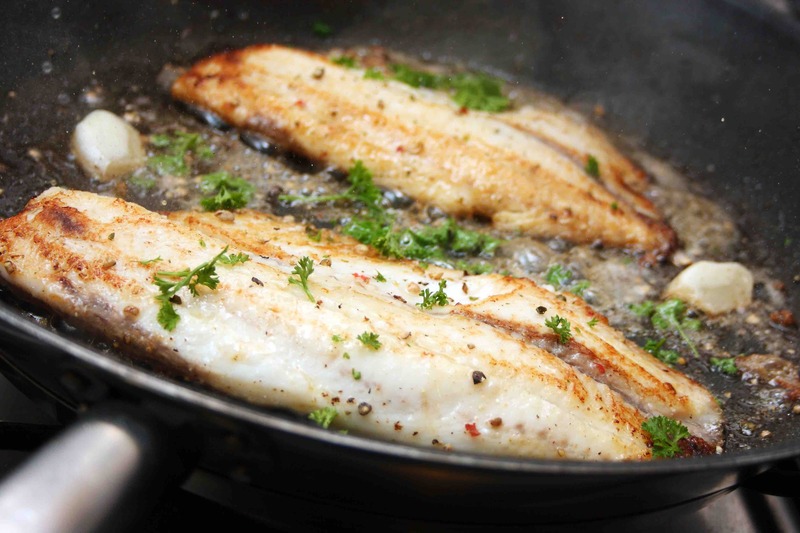 Dip fillets one at a time in the melted butter ensuring both sides of fish are covered with butter. Remove from butter, and without sitting fish down sprinkle fish on both sides generously with seasoning, patting by hand. Repeat for the second piece of tilapia. Special Notes: Be sure to wipe your cast iron skillet (caution its very hot) clean before cooking you second two pieces of Tilapia. Also, be sure your stove ventilation fan is working and in proper order, since blackening tends to create plenty of smoke. Other fish such as pompano red snapper, salmon steaks, or tilefish can be used as substitute for tilapia in this recipe. I'm sure you're going to love this recipe, so come back by and leave us a message. We post new fish recipes often, so come back to visit us. Enjoy this blackened Tilapia recipe!